In this paper, we consider a one-dimensional Schrödinger equation under a joint linear feedback control at an arbitrary internal point \(\xi (0<\xi <1)\). It is shown that the pointwise control system is asymptotically stable if \(\xi \) is either an irrational number or a rational number satisfying \(\xi \neq 2l/(2m-1)\) for any positive integers \(l, m (1\leq l \leq m-1)\); further, the system is exponentially stable if \(\xi \) is a rational number satisfying \(\xi \neq 2l/(2m-1)\) for any positive integers \(l, m (1\leq l \leq m-1)\). Moreover, we consider the Schrödinger equation under a joint feedback control where the observation is suffered from a given time delay. A Luenberger observer is designed at the time interval when the observation signal is available, while a predictor is designed at the time interval when the observation signal is not available. A natural control law is constructed based on the estimated state. The closed-loop system is shown to be exponentially stable for the smooth initial value. 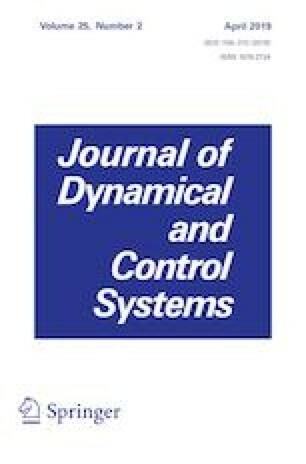 Finally, numerical simulations demonstrate effectiveness of the dynamic output feedback controller. I would like to extend my deep gratitude to all those who have offered me practical, cordial and selfless support in finishing this paper. This work was supported by the National Natural Science Foundation of China under Grant 61203058 and the training program for outstanding young teachers of North College University of Technology.